Gamification, I have always found, is one of the best ways to drive results. The key is to encourage the action you want performing to be made a top priority. But what is the best way to achieve this? I was lucky enough to meet Craig DeWolf from Blackhawk Engagement Solutions, an expert at gamification and incentives, who works with some 75% of the fortune 1000 brands. I learnt a lot, and then applied it to social media. Here I will delve into the gamification world, so you can get to grips with all you need to know to help you apply this to your organization. Craig DeWolf states, ‘gamification is the use of traditional game elements to motivate, educate and engage participants.’ Examples include competitions, points, leader-boards, badges, rewards, self-esteem and recognition. Gamification aims to drive engagement and overcome all challenges. This is a crucial area for brands operating within a channel. And with businesses spending over $1 trillion per year on software which is poorly adapted to their needs, little is changing. Enterprises want their channel partners to be highly engaged with their brand, sharing their content but with a measly 10-20% of channel partners even logging into channel portals, there is a long way to go to receive the level of engagement desired. Gamification aims to add value by encouraging participants to perform a task that you would like them to do. This could be achieved by adding curiosity, status, reward, or achievement. Gartner believes that by 2015, innovation processes will be gamified by at least 50% of organisations that manage innovation processes. Ensure you are a part of this 50%, otherwise your brand will undoubtedly get left behind. The dial that appears on a user’s homepage indicates that their profile is only 80% complete. This encourages the user to increase their percentage, driving them to complete their unfinished profile. LinkedIn also uses the leader-board technique by showing a user how they are performing against their connections. The top skills section on a profile is another example of structured gamification. This appeals to the user’s self-esteem, through connections rating their abilities. Twitter has also followed suit, now allowing users to see how their posts are performing. All these techniques are a way of changing our current behaviour. And I am sure you will agree, they are effective. Hitachi data systems recently used binary bees to promote their new storage products, illustrating how efficient it was at storing, segmenting and retrieving data. Those who registered for the game could then win prizes for understanding key components about the product. First of all I must point out that every channel partner has different requirements, so please remember that one size does not necessarily fit all. Try and adapt this to your organisation. A large global IT brand, involved in virtualization, added gamification to their existing content for training purposes, and they received engagement of between 50% and 500%. A huge growth in their users’ experiences. First of all let’s consider the strategic processes for achieving gamification for your brand. Which values and behaviours do you value the most? A lot us have partner scorecards which are focussed on end results of partner performance, such as the revenue achieved at the end of the first quarter. Instead we should focus on the behaviours that influence the end results, and how we can change these. One method, which I personally adopt, is producing progress reports, showing our customers how they are performing, against previous months. We also provide demos to our customers as a training method, helping drive their performance levels. These two methods I would personally recommend as a starting point. I always find that keeping everyone informed and engaged does wonders. If you leave them to their own devices, they will quickly forget about your program/ brand and engage with other pressing issues. Perhaps consider extending your incentives budget, focussing more time on this key area. I can honestly say that if you do this, your ROI will be worth it. Are some of your partners more active than others, or maybe even users? Perhaps look at exposing this information, as a way to incentivise other partners to improve their act. It is a way to drive competition, and Craig DeWolf finds this to be particularly effective. 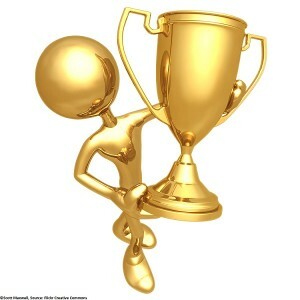 This also works for improving the winners’ self-esteem, making them feel rewarded for their efforts. Craig DeWolf states, ‘Use gamification for short-term needs such as introducing new products or programs, or to reignite existing programs.’ After this you can look to provide incentives, such as intrinsic rewards, to attain larger goals such as a partner increasing their revenue by 5%. How can gamification work for social media? If you operate within a channel, I am sure you must have considered how you could use social media as a means for promoting your brand to end users. A consistent, brand message is important for every organisation, and you want to be at the forefront of all your end users minds. Encouraging partners to share your content is a great way to increase your exposure. Why is social media gamification important? With a large proportion of your target audience using social media, and with 67% of a buying decision occurring digitally, it is crucially important that your channel partners share and promote your content on social media. These are the people that are selling your products, and end users need to be reassured in order to make that all important buying decision. Customers see the stats for each one of their posts, allowing them to share this information with their partners. This then rewards and builds the partners’ self-esteem. We have also gone one step further, by building a leader-board that showcases all of our users within the company. This encourages competition. Some users receive a lot more activity than others and we have found it hugely effective to share this information, helping boost engagement elsewhere. I am sure you will agree gamification is pretty incredible. The results you will receive will speak for themselves. I know what a different gamification has made to my company, so why not see what a difference it will make to yours. Trust me, you will not regret it.